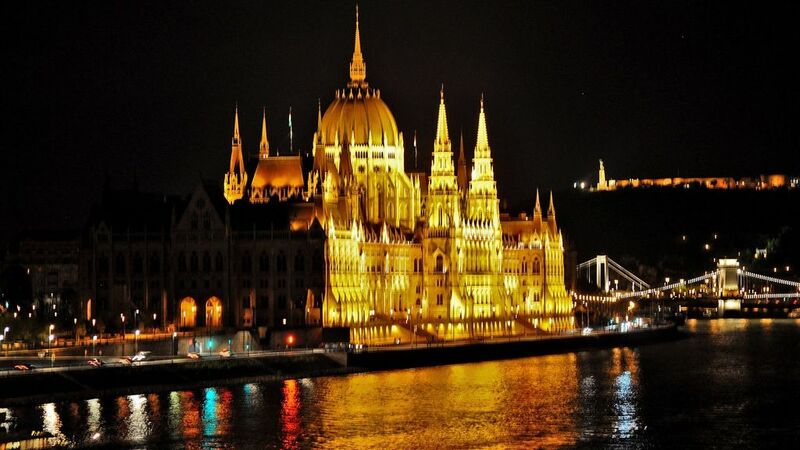 idéalement situé,L'appartement est au cœur de Budapest, 5 étapes du Parlement hongrois, le Danube. Près de Westend centre commercial, et de la rue Váci. L'appartamento è in ottima posizione, anche per i mezzi, ben attrezzato. La Sig.ra Ilona è una persona gradevolissima, parla molto bene l'italiano , fornisce indicazioni utili per il soggiorno in città. Io ho avuto un piccolo incidente durante la mia vacanza e lei mi è stata di molto aiuto. La città è bellissima, regale, si mangia molto bene , si gira facilmente con i mezzi pubblici, vale la pena ritornarci magari in primavera estate. Ilona’s apartment was awesome. It was practical, convenient to everything we wanted to see. We were able to either walk or use public transportation for everything. We even went to Eger and Vienna without renting a car. The apartment is safe with a police station nearby, walking at night was no problem. It’s a little noisy at night but we were able to sleep because we were exhausted from all the things to do in the area. Ilona arranged transport from and to airport. She gave us a map, suggestions for things to do. She answered all our questions quickly. We loved staying in our little apartment, it was comfortable and had everything we needed. Thanks, Ilona for a great holiday. It was the best 12 vacation days we ever had! Forget staying anywhere else in Budapest, this is the place to be. See you again. Dear Józsi , thank for being our guests. You are always welcome ! This property has a perfect location, near the river and the beautiful Parliament building. Also easy access to public transport to visit all other landmarks and significant sights. Supermarket close at hand and a few restaurants. The host Ilona is a very kind and generous lady, who will help you plan your visit to beautiful Budapest, whatever your interest. Dear Alice and Joe, thank you so much for your kind words and your visit. You are always our welcome guests, good health and all the best ! Ilona was so wonderful and welcoming! We came in the middle of the night and she was there to greet us and show us everything we needed to know. She also was very helpful and quick to respond with anything we needed help with. The apartment was clean and in a great location. We had a great stay in Budapest and I can’t say enough about IIona and her flat. First the flat, it is centrally located in a safe neighborhood. You are down the street from a police station, three blocks from Parliament, two blocks from a convenience store and five or six blocks from a bigger market. The town square is a 10 -15 min walk just past the US embassy. Also, under the embassy is long term parking if you happen to have a car. We found the location of the apartment perfect as we could walk across the river and see the national museum and other sights. Now for IIona, the owner/manager. She is a wonderful person. She was very helpful from the start and planning our trip. Then once we got there, she was a wealth of information. But what sets IIona apart was her graciousness. My wife ended up getting sick, and IIona took a morning out of her schedule to accompany us to see a doctor. That was amazing, because she helped us navigate finding a doctor, some language barriers at the doctor and then at the pharmacy. We couldn’t of done it without her. I cant say enough about her and her apartment, I would highly recommend it. Finally, for the travelers, Ilona is speaks in Hungarian, English, Italian and French. Dear Charlotte & Jon, thank you so much for these wonderful words. Thank you for being our guests, you are always welcome! You've stayed in my heart. I wish you the best of everything ! I hope we see you again! We stayed in Budapest for two weeks, visiting friends from our two years in Budapest from 2012-14, during which we lived in two very similar apartments. So we are familiar with the interesting challenges these wonderful but quirky older buildings present. - Great location, about 2 blocks from Parliament -- safe and secure, and with good access to public transit, which we use exclusively when in Bp. Unfortunately the Kossuth Lajos stop on the M2 line is under construction, as is a section of the 4/6 tram lines, so we wound up walking to Nyugati Palyaudvar most of the time, which worked perfectly well for us. - Very affordable rate for such a location. - Comfortable bed and living area with plenty of closet/storage space. - The extra half bath (toilet) is very helpful. - Large refrigerator and effective microwave. - Well-equipped in kitchen and bath with plenty of dishes, towels, sheets, hairdryer, etc. - Efficient washer, and a drying rack is also provided. - Good water pressure in shower. - Ilona was very pleasant and helpful throughout. - All in all, felt like home. - The kitchen is in some need of updating, especially the stove and oven; this will not be a factor for guests staying a shorter time who are likely eating out at every opportunity, but with our elongated stay, the older, match-operated gas stove/oven were a bit of a letdown. - The tub/shower is fine if you are a bath-taker, but for those who shower, the tub provides only a narrow flat surface to navigate, so it was just not as comfortable or secure as you might want. Again, for 2-3 nights, no problem, but over the course of two weeks, less appealing. Given the *very* attractive nightly room rate for this location, I feel the above factors are taken into account, so we would definitely rent from Ilona once again, as the location and other positives outweigh those concerns. This kind of gas cooker and oven is really widespread from us , and it works perfectly well. Maybe in the US you use more electric. As for the shower: a comfort to have both the shower and the bathtub at the same time. All the best ! Thank you for the review, and for the reservation. Pour les personnes arrivant en voiture d'utiliser le GPS est la plus pratique. Si vous arrivez par avion - Aéroport Terminal 1 - prendre le train jusqu'à la gare de Nyugati, et après une promenade de 8 minutes. Je recommande toujours à tous le grand restaurant TROFEA. Coûte 11 euros par personne (du lundi au vendredi midi seulement) et vous pouvez suivre tous les cours que vous voulez et vous pouvez boire tout ce que vous voulez. Le restaurant est élégant et agreable. Situé au pied du pont Marguerite à Buda côté.A proximité se trouvent de nombreux cafés et restaurants. Szt.István körút il ya un autre très bon et très bon marché restaurant appelé Szeraj. Tariffe scontate in relazione alla durata, Tariffe in funzione del numero di persone, , Caparra richiesta alla prenotazione, Consegna delle chiavi da parte del proprietario, e anche informazioni utili e turistiche sulla cittá, mappa su Budapest. .